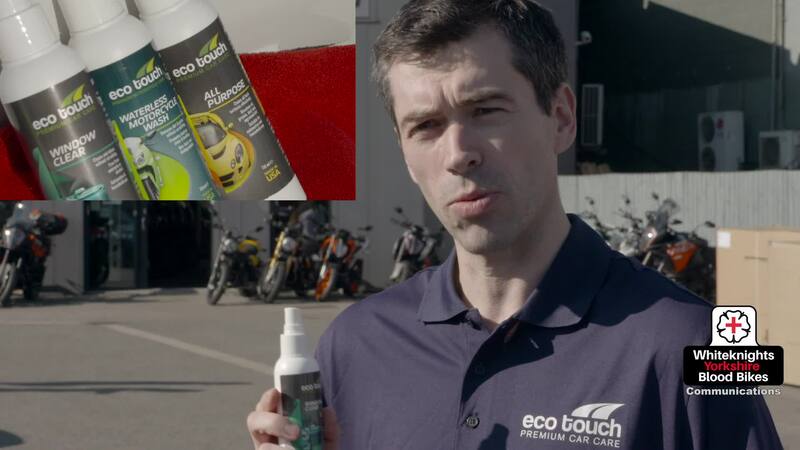 Here Robert Clague from Eco Touch UK demonstrates Eco Touch Waterless Motorcycle Wash, Eco Touch All Purpose and Eco Touch Window Clear products. Whiteknights Volunteer Advanced-Qualified Riders recently received these products to try out for themselves. Our thanks to Eco Touch UK for supporting Whiteknights Yorkshire Blood Bikes.